Bass Lessons Unlimited is dedicated to providing the best one-on-one private online bass education in the world. 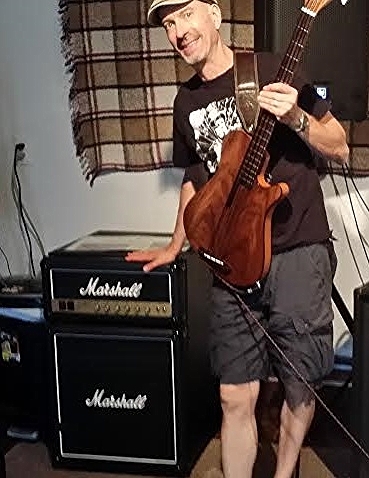 Specializing in online bass lessons through Skype, Riley Hagan is a Berklee College of Music Alumni and has been teaching bass for over 10 years. He has been a featured artist at the Berklee College Of Music Five-Week Program. Riley's performances include the Berklee Bass Lines Concert and the New Hampshire Bass Fest. He has also been a guest teacher at the EM&T Music Institute in Sao Paulo, Brazil. Riley is an experienced instructor who has helped students at every level reach their musical goals. By helping you focus on specific elements of music, he takes the confusion out of the learning process through breaking music down into graspable parts, making learning worry-free and, most importantly, as fun as it can be. Riley has provided students from ages 8 to 70 with a focused approach designed around their goals and needs. The whole point of taking lessons is to make playing music more enjoyable. Whether you’re a beginner or you’ve been playing for years, Riley will work with you at your level and help you learn to play what you want to play.